For further details regarding adopting an animal from RSPCA Brighton and East Grinstead, please telephone 01273 554218, we are open 10.30-4.00 Tuesday to Sunday, closed on a Monday, phone lines are only on during opening hours. RSPCA Brighton and East Grinstead, Braypool Lane, London Road, East Sussex, BN1 8ZH. This is Caramel a 1-2 year old spayed female and Vanilla (female) is around 8 weeks old. This is Alaska, a 2 year old white spayed female lop eared rabbit who came in because she was no longer wanted. She is a bit nervous but okay once she knows you. 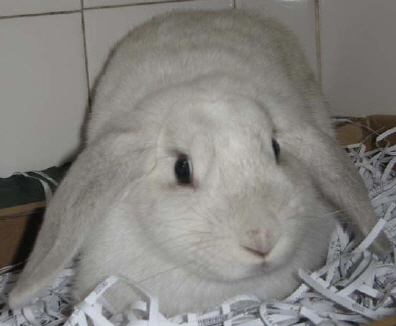 Alaska needs to be homed with a neutered male rabbit for company. 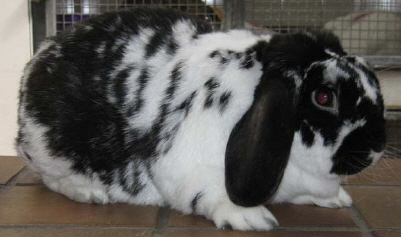 This is Ziggy a 2 year old black and white neutered male lop who came in because he was no longer wanted. 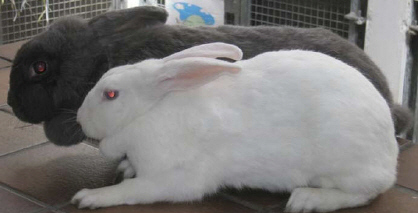 He is a friendly boy, okay to handle and must be homed with a spayed female rabbit for company. Meet Louise and Jamie; Louise is a spayed female 1-2 years and Jamie is a neutered male 4 months. They are mum and son and need to be homed together. 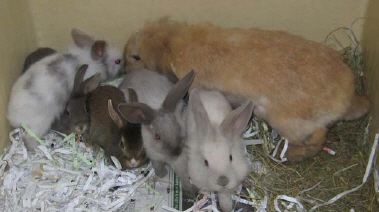 They came in on the 19th of July as part of a group of 23 rabbits removed by an Inspector due to over breeding. This is Blackjack a 5 month old black male. He came in on the 12th of August as he was unwanted. 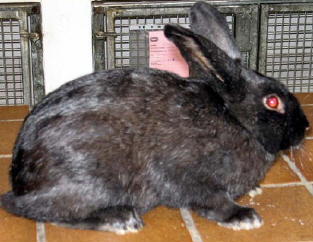 He is a friendly boy who needs to be homed with a spayed female rabbit for company. These two are Bluebell (grey) 3 years old and Buttercup (white) 1-2 years old, they are both spayed females. They came in on the 19th of July as their owner couldn’t cope. They are both very friendly and okay to handle. 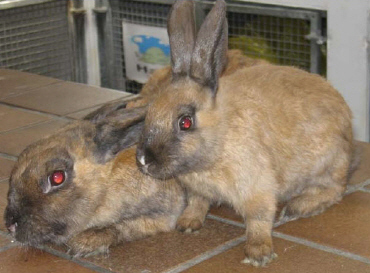 This pair will be more difficult to rehome because Bluebell is a larger older adult and people often go for younger rabbits, please consider them.